Chains is rated 3.5 out of 5 by 2. Rated 5 out of 5 by Bpup from Highly Addictive I happen to already own this game but I'm glad to see that Big Fish offers it. This game is an intriguing mix of Match-3 and physics puzzle elements. 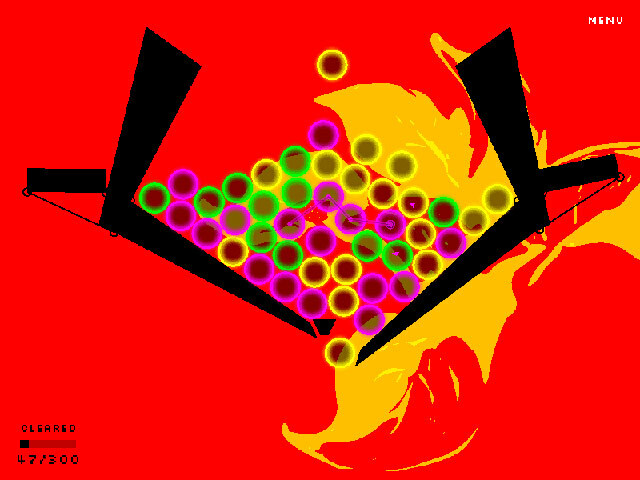 The goal is to link various sized, similar colored bubbles together to remove them from the playing field. The twist is that the bubbles are in motion - they are dropping into the playing field, tumbling over one another - and the playing field changes in each level. 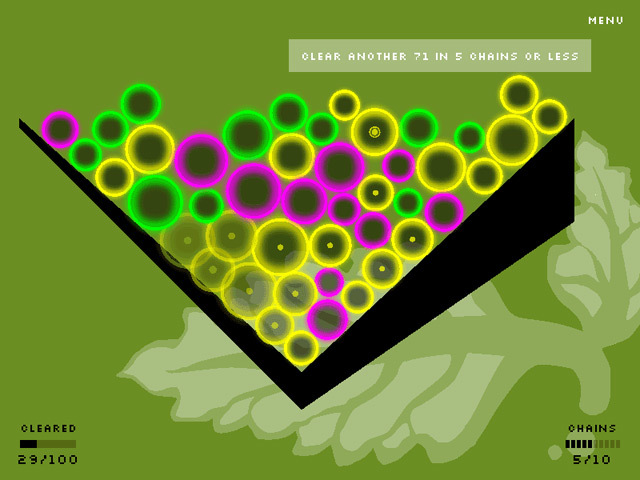 One level is a river that you have to keep flowing, another assigns point values to the different bubble sizes and you have to connect the right number of bubbles to reach a specific total, a third requires you to clear the bubbles fast enough to prevent the weight of them from triggering a trap door that drops all of them and costs you the level. 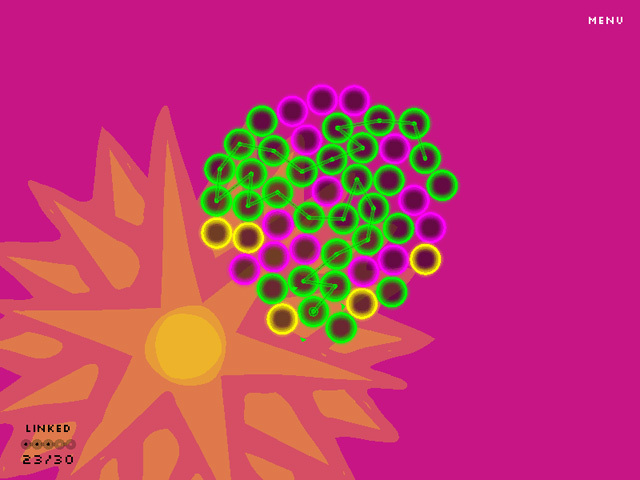 The colors are bold and bright and in a Pop Art style. The game play is smooth. Options allow you to adjust the Music and Sound volume, and it also allows you to set the screen resolution, and allows you to play windowed or full screen. There are 20 levels of gameplay, but don't let that low number fool you - some of the levels are tough to get through. It's a game that requires thought, planning and fast clicking. I consider this game to be one of the hidden gems of Big Fish's inventory. Rated 2 out of 5 by Natley from Too hard the game is set up so you cant move on until a puzzle is completed and the Stream is impossible for me - my mouse simply dosent respond quick enough so without going out and buying a new mouse I'm stuffed. There are about 15 games and I done three so its just a swizz. they should set it so you can have a go at all the puzzles, I am complaining to big fish to get my money back. 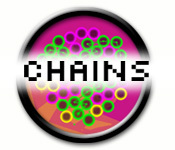 Link the adjacent bubbles of the same color to create Chains in this fast-paced and exciting Puzzle game! Rack up the points!